Kazuki Mutou is mortally wounded saving a girl from a strange monster, but is given a new life through the power of the alchemically-made Core Iron. Along with a second chance, this grants him the ability to use his own Buso Renkin, or Alchemy Weapon. 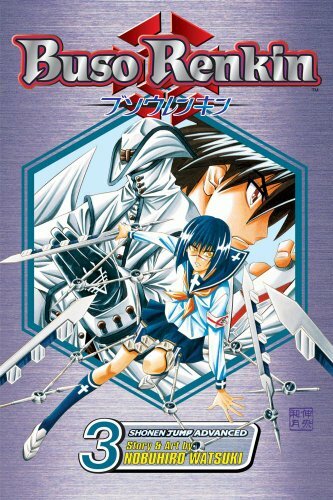 Joining forces with Tokiko, the Buso Renkin user he'd saved earlier and who gave him the Core Iron, he uses his newfound powers to fight the malevolent Homunculus monsters and protect his friends and the rest of mankind.